'I have responsibilities and works, same with you. Let's do it, but when the ultimate war comes, we all will see,' he said. The actor was possibly reacting to Bharatiya Janata Party (BJP) leader Subramanian Swamy's remarks dubbing him as a 'disaster' in Tamil Nadu politics. 'There are many senior people in politics. One among them is M.K. Stalin who is very able. Anbumani Ramadoss is an able administrator who has toured across the world. Thirumavalavan has been very vocal about each and every subject,' he said. However, the star added, 'If in case I decide to join politics, then those making money will not be entertained.' 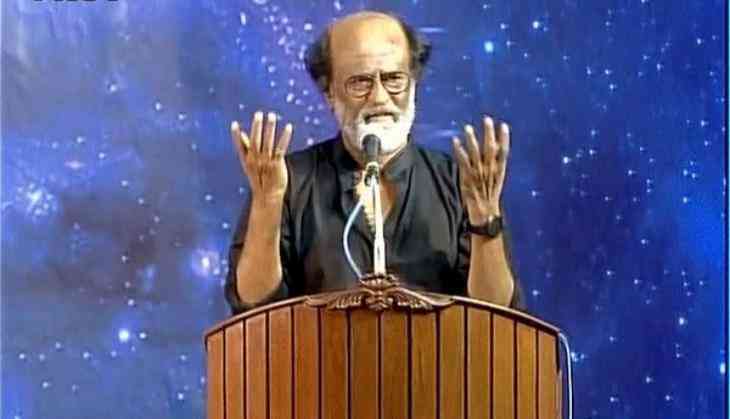 'God made me an actor and I promise Rajini will never ever disappoint his fans in acting,' he added.